Comments: ALTERNATE EDITION: ***THIS IS A CUSTOM EDITION TEXTBOOK! THE SAME CONTENT JUST CHEAPER! *** Book in 'Acceptable' condition. Will show clear signs of use with water damage to pages and worn, bent or torn covers. 2nd day shipping offered. Ships same or next day!!! Used books may not contain supplements such as access codes or CD's. We have the best customer service online!This is the U.S. student edition as pictured unless otherwise stated. 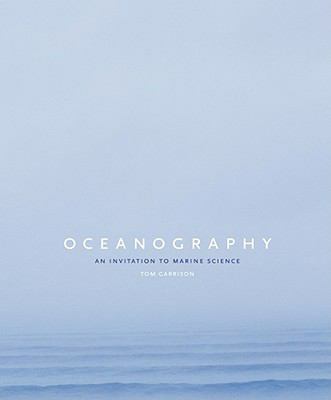 Garrison, Tom S. is the author of 'Oceanography: An Invitation to Marine Science', published 2009 under ISBN 9780495391937 and ISBN 049539193X. Loading marketplace prices 266 copies from $1.84 How does the rental process work?